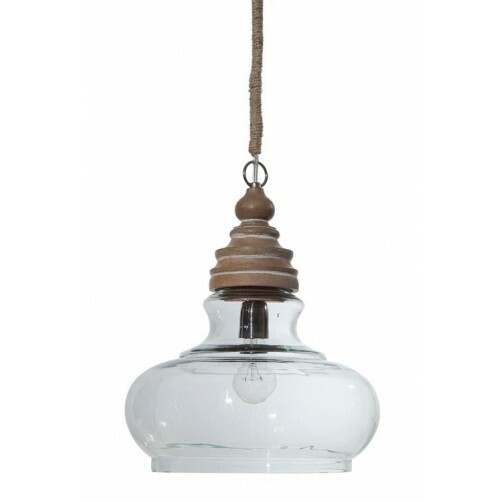 Recycled glass combined with mango wood forms a hour-glass silhouette pendant. The appeal of recycled glass lies not only in the sustainability aspect, but also in the allure of the material. 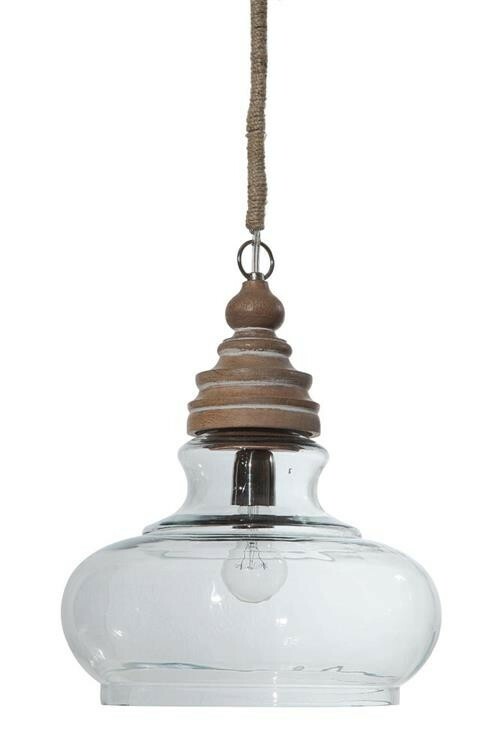 This pendant introduces a statement-making blend of rustic elements to living rooms, dining rooms and kitchens. Suspended overhead from a simple rope, this curved light fixture captivates with a hammered clear glass silhouette. Includes chain and rope. 14" Diameter x 16"H 40 Watt Bulb maximum (light bulbs not included) Hard wire only. Textured glass. All pendants are made by hand from recycled glass, so each one is completely unique. Please understand that they won’t be perfect, but that’s part of the charm!